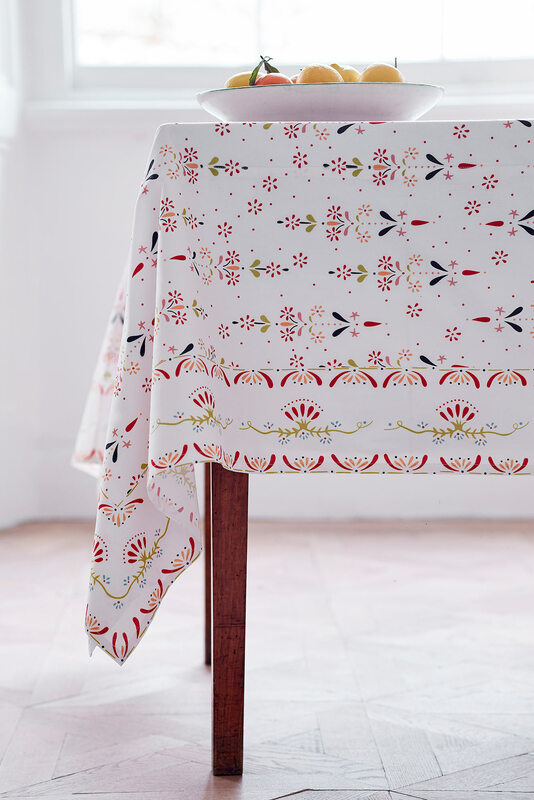 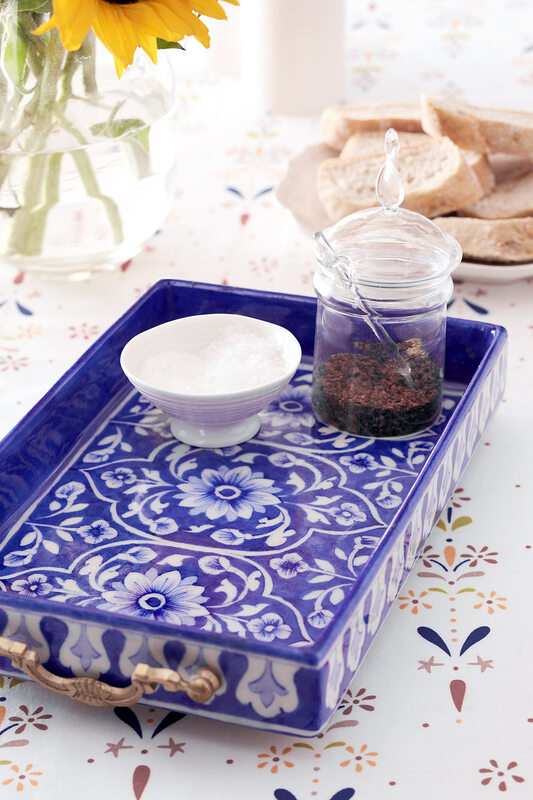 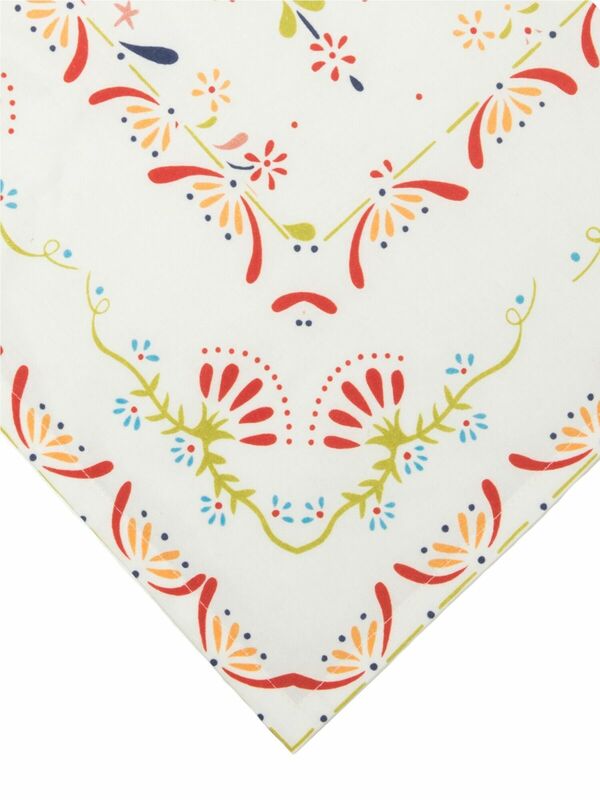 Throw our jubilant Flora Cotton Tablecloth over your table to make every mealtime a joy. 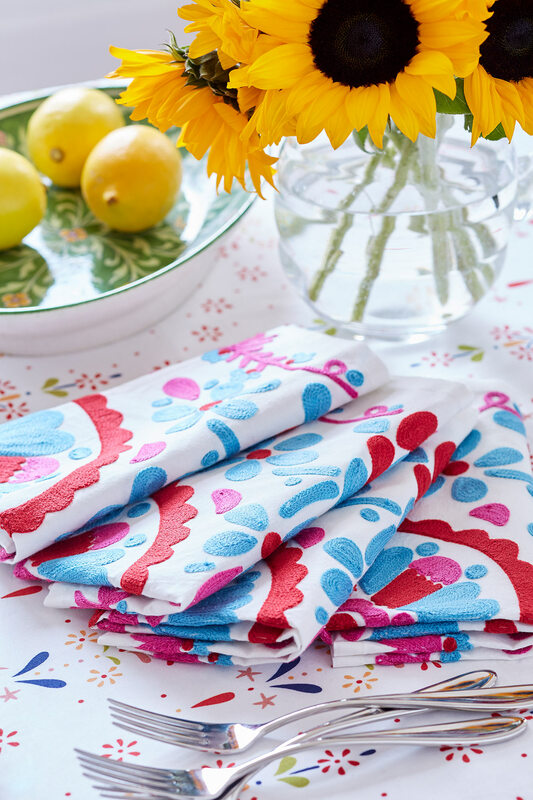 Made from crisp, white cotton, it is printed with a lively, rainbow-coloured pattern of bursting florals that is both beautiful and uplifting. 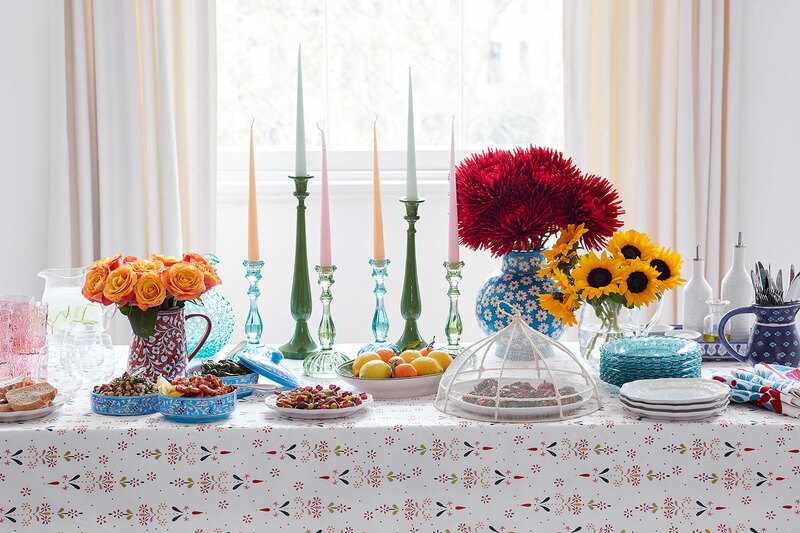 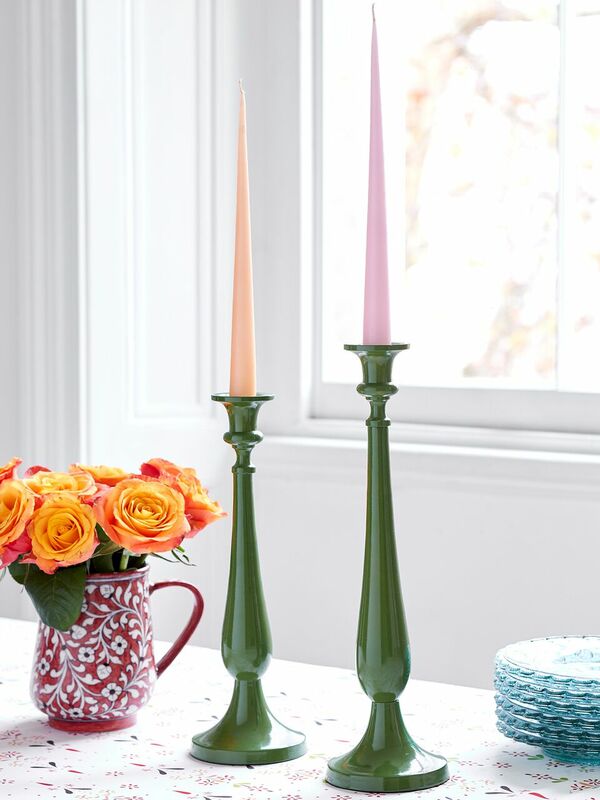 It will brighten weekday breakfasts, bring joy to celebratory dinners and lend cheer and colour to your kitchen or dining room.